Quality PCBs come from our dedicated professional team. 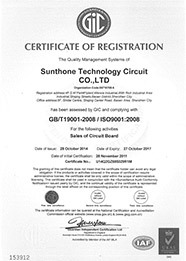 Sunthone manufactures PCBs of the high quality standard as per IPC. Our quality is not an afterthought, but built into each process from PCB engineering to packaging and shipping. All the production processes are continuously monitored and optimized in an effort to increase the quality of your PCBs. And all production processes are directly tied to the CAD system, thus offering a log of full traceability of material and product flow. 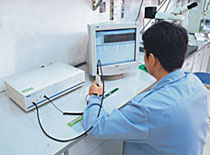 It is constantly striving towards zero defects through the use of systematic monitoring. 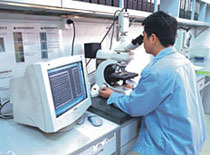 First of all, pay attention to technical training, technical backbone of reserve production operations personnel, and enhance product quality control in a generic sense, in strict accordance with the requirements of the production process, to solve production of defective products from a technical point of view and to improve the quality of the product. Secondly, we must strictly enforce the equipment rules, according to the predetermined frequency equipment routine maintenance. Any found problem should be timely feedback equipment maintenance therapy, reduce poor quality due to equipment failures that result from radically improve product yield. 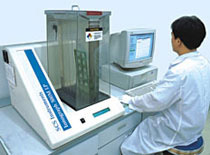 Thirdly, strengthen the wet fluid control, strict control of fluid volume and concentration Medicament added amount of change to test a single instruction guide (according to the procedure code requirements), request the relevant departments to actively cooperate with the syrup concentration, to avoid problems caused by poor quality. Fourth, further strengthen the technical control, modify or change processes according to the actual situation. 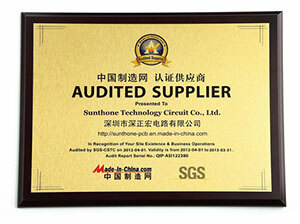 Sunthone is a professional PCB manufacturer, producing quick turn PCB prototypes, samples and small orders. 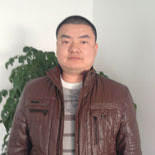 1, Collection and analysis of PCB industrial information, developing trends and competition situation. 2, Formulate the marketing strategy for the company base on economic developing background. 3, Make the sales targets for for each sales team per month/season/year, and carry out the sales targets. 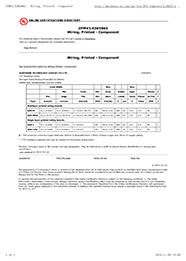 4, Administration and training of sales staff. In 2009, formulate the new long-term marketing strategy and sales plans, and assists General Manager turning the company’s main focuses into quick turn PCB samples and low-volume orders, base on the changing of economic background. At the same year, the company’s turnover increases 12%. 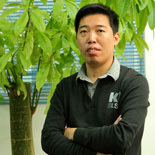 1, Supervision of the company’s quality control system and implemention of ISO standard. 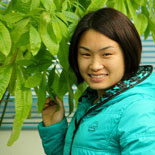 2, Carry out and evaluate the quality control plans per month/season/year. 3, Continues in improving the perfecting the the quality control system. 4, Administration and management of the QA department. In 2009, work out a series of quality control and quality management proposals, according to the ISO standard and the actual situation of company. With these proposals, the rework percentage is smaller than 0.15%, rejection rate is lower than 0.3% and customer complaints less than 0.1%. 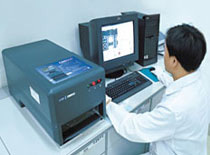 This brings the company’s products to a high level in PCB industry. 1, Administration and management of PE department, and hold technical conferences. 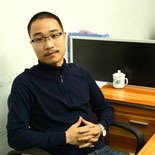 2, Lead the engineering team for technical support of the production, and optimize the production during CAM processing. 3, Handle with the unconventionality on customer’s PCB file and improve it with customer. And give suggestions on improving the quality and lower down the cost to customer according to customer’s specific needs. In 2009, come up with a series of proposals on shorten the lead time and improving the quality with the optimization in CAM processing. These proposals carry out well, and bring the company to a new step. At the same year, the manufacturing progress is 3% better and quality improved 5%. 1, Administration and management of the R&D Department. Hold technical conferences. 2, Lead the R&D team offering technical instructions on the manufacturing process. 3, Research & development of the production schemes for certain products, and carry out the scheme during the whole manufacturing process. The certain products include PTFE PCBs, Multi-layer boards, Blind-buried holes boards, Copper-based boards, Aluminium-based boards, Rigid-flex boards, and boards with trace/clearance smaller than 0.075/0.075mm. 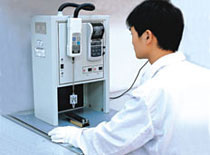 In 2009, work out the practical manufacturing process control system of High Frequency PCBs and Blind-buried Boards with Holes smaller than 0.15mm. It bring about the mass production of High Frequency PCBs in 2009, and the mass production of Blind-buried Boards with holes smaller than 0.15mm in 2011. UL (Underwriters Laboratories) is an American worldwide safety consulting and certification company headquartered in Northbrook, Illinois. It maintains offices in 46 countries. UL was established in 1894 and has participated in the safety analysis of many of the last century's new technologies, most notably the public adoption of electricity and the drafting of safety standards for electrical devices and components. UL provides safety-related certification, validation, testing, inspection, auditing, advising and training services to a wide range of clients, including manufacturers, retailers, policymakers, regulators, service companies, and consumers. UL is one of several companies approved to perform safety testing by the US federal agency Occupational Safety and Health Administration (OSHA). 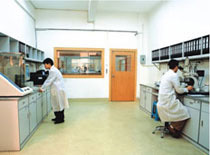 OSHA maintains a list of approved testing laboratories, which are known as Nationally Recognized Testing Laboratories. ISO, the International Organization for Standardization, is an independent, non-governmental organization, the members of which are the standards organisation of the 163 member countries. It is the world's largest developer of voluntary international standards and facilitates world trade by providing common standards between nations. Nearly twenty thousand standards have been set covering everything from manufactured products and technology to food safety, agriculture and healthcare. Use of the standards ensures that products and services are safe, reliable and of good quality. The standards help businesses increase productivity while minimizing errors and waste. By enabling products from different markets to be directly compared, they facilitate companies in entering new markets and assist in the development of global trade on a fair basis. The standards also serve to safeguard consumers and the end-users of products and services, ensuring that certified products conform to the minimum standards set internationally. To support relationships between international buyers and Chinese SMEs, we have developed a database with details of all SGS-audited Made-in-China (MIC) suppliers. The database currently contains details of over 10,000 audited suppliers and is continuously being expanded as new suppliers go through the auditing process. Users can search the database by report number, supplier name or location, audit date or date of report validity. Sunthone is always ready to provide exceptional and satisfactory support for your PCB assembly and/or products design needs. Please do not hesitate to contact us for any comments, feedbacks, or sales inquiries.